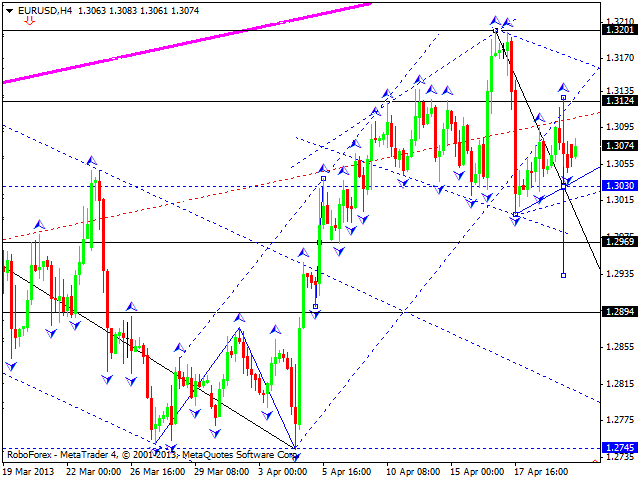 The EUR/USD currency pair is trying to form an ascending structure to continue its correctional movement. 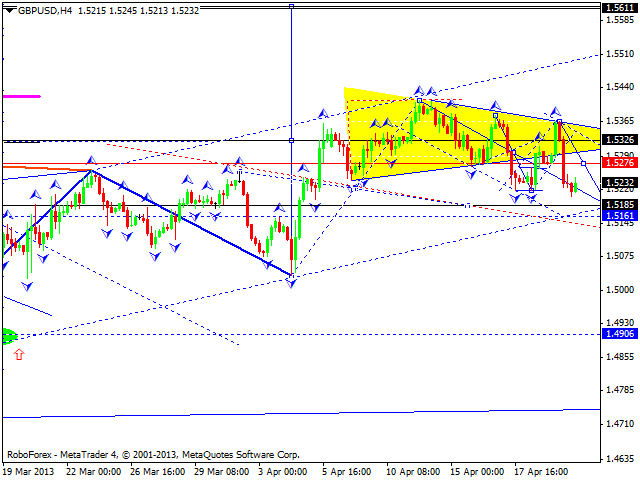 We think, today the price may form another descending structure to reach the level of 1.2940. This structure will help us to define future scenario. Later, in our opinion, the pair may start forming the fifth descending wave with the target at 1.2700. 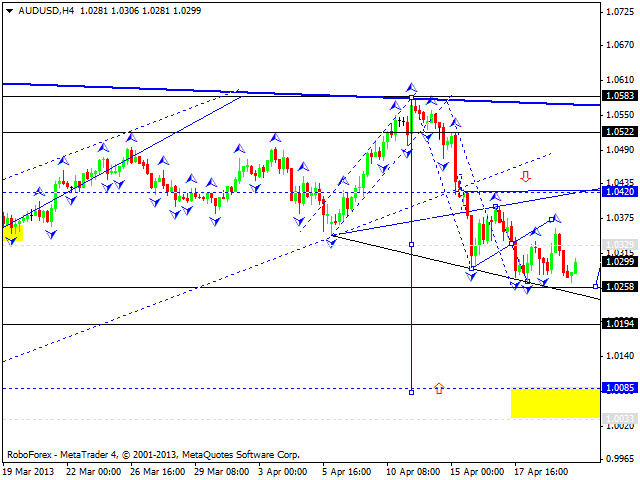 The GBP/USD currency pair is still forming a descending wave; right now, the market is forming its fifth structure. We think, today the price may reach the target of this correction at the level of 1.5185 and then continue growing up to reach new maximums. 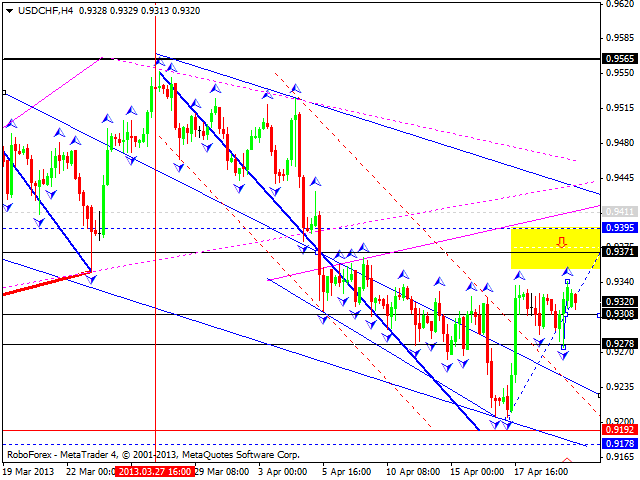 The USD/CHF currency pair continues forming an ascending wave. We think, today the price may form a continuation pattern at the current levels. The target is at the level of 0.9400. Later, in our opinion, the pair may form a new descending structure. 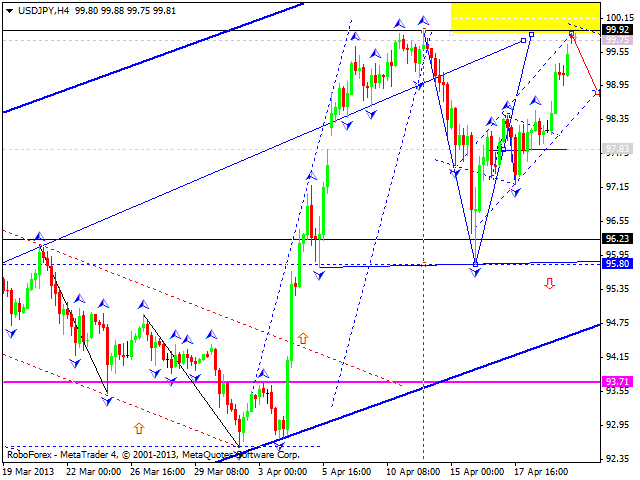 The USD/JPY currency pair formed double top pattern. We think, today the price may start another ascending descending structure towards the level of 95.80 and then return to the level of 97.80. Later, in our opinion, the pair may form one more descending structure to break an ascending channel. Ther target is at 93.70. Australian Dollar continues moving near its minimums. We think, today the price may form a divergent continuation pattern, first towards the level of 1.0420 and then start a new descending movement to reach the target at 1.0258. Later, in our opinion, the pair may continue falling down towards the target at 1.0085. Gold is still forming its third ascending wave. 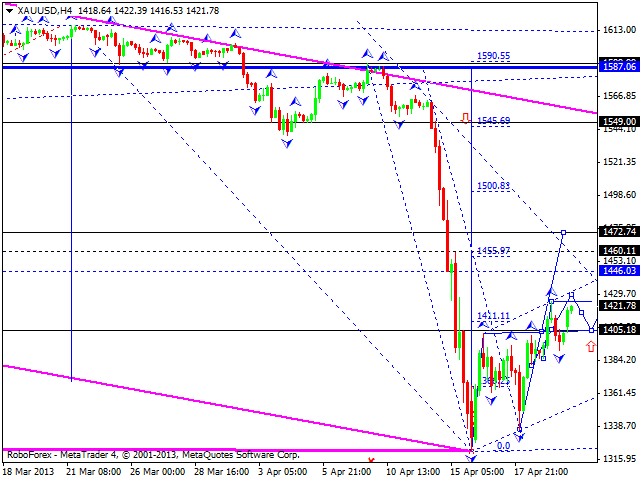 We think, today the price may form a continuation pattern near the level of 1405. A local target of this wave is at 1460.